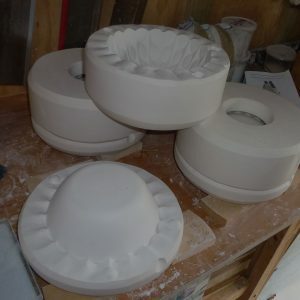 Moulds for customer requirements made and sold in the greater Auckland area and New Zealand wide from supplied models. 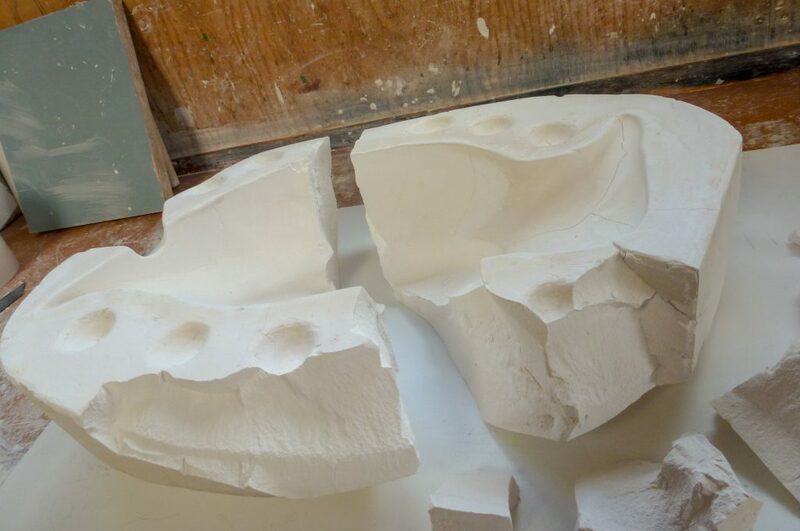 Models need to be of permanent materials and in good condition. 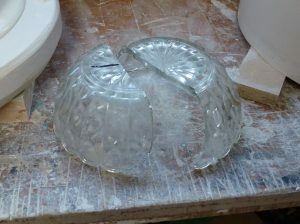 However, where poor quality models are all that is available, I may have to seal or repair them before work can begin. Poor models don’t make good molds. So this will be a part of the cost to the client. My objective is make good moulds for customer requirements. I aim to supply what is required. Slip cast and pottery press molds and mould redemption work – new molds off damaged molds, some model making undertaken. I make from best mold making plaster with care and attention to detail. 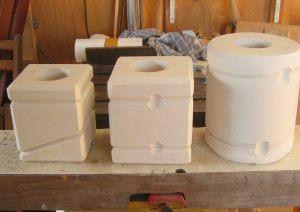 I make second and subsequent molds at a reduced cost to the first mold if made at the same time as the first mold. Process of last resort – don’t despair! Where a mold exists – but is worn. I can often to achieve a satisfactory result without having to go back to the beginning and this will reduce the cost. Worn mold and model required. You have lost the model but have a mold in good condition and require additional molds. 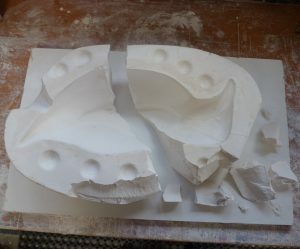 In these cases, I may have to repair the model before mold making can commence. However, restoration of the model may incur an additional charge. Mold redemption – damaged molds, no model. I can often achieve results in this complex process. 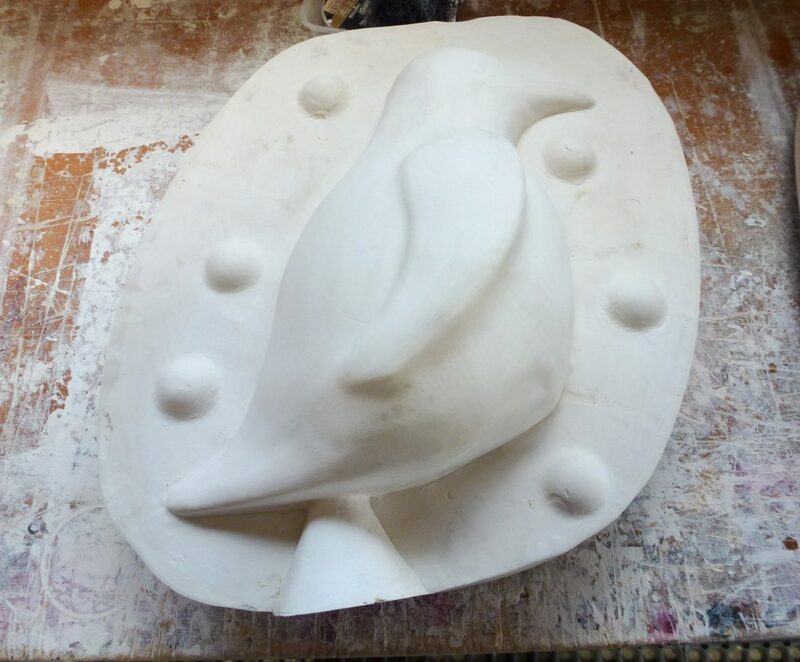 Save all pieces and crumbs, send pictures initially so I can assess, and if redemption is possible, I will require all parts of the of the mold. About Richard Lees. Mold maker.